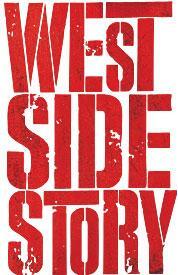 I am so excited to go see the Knight’s Theatre production of West Side Story. In anticipation, I will be screening two films – interpretations – of the timeless tale of tragic love. The first film I own in my heart as I was in high school when we first piled into the car to go see this film. I’ve seen it numerous times and had the vinyl of the music. Love this interpretation, the first one to use appropriately aged actors (Olivia Hussey and Leonard Whiting) as Juliet and Romeo. That one will be screened Wednesday night, starting at 6 pm in the Conference Room. The second film was released in 1996 and the backdrop is post-modern Verona Beach California. Here you have Leonard DiCaprio (funny how both Romeos are Leonards) and Clare Danes as our star-crossed lovers. That will be Thursday night in the Conference room starting at 6 pm. The first film is rated PG; the second film is rated PG13. Enjoy buttered popcorn at least. Come on down. No registration required.